So, an LGBT group will march in New York in 194 days. An archbishop seems fine with it. The word is still out in Boston, where similar groups cannot march. Is Cardinal Dolan trying to get a “who-am-I-to-judge” leg up on Cardinal O’Malley? That prompted conservative activist Bill Donohue of the New York-based Catholic League, a vocal opponent of gay rights, to launch a boycott of the brewer. “They have really made a serious mistake, Guinness, in trying to stick it to Roman Catholics,” Donohue said. On Wednesday, Donohue struck a different tone: “One would hope that all the new entries will conduct themselves in a manner that honors St. Patrick, lest another round of controversy emerges,” he said. Maybe people are genuinely tired of controversy. Maybe people just want to wear green, enjoy a parade, and drink some fine Irish beer–no matter who made it. Cue the complaints another culturewar battle has been closed down. This entry was posted in bishops, Church News, Politics and tagged culturewar. Bookmark the permalink. It’s just a parade. Sheesh! My parents were born and raised in Ireland. I grew up in NYC. Went to one parade, that was enough. The parade was three blocks from my high school. I still didn’t go after school. My parents never went. Some of the parties were OK. Never saw the big deal about who marches. 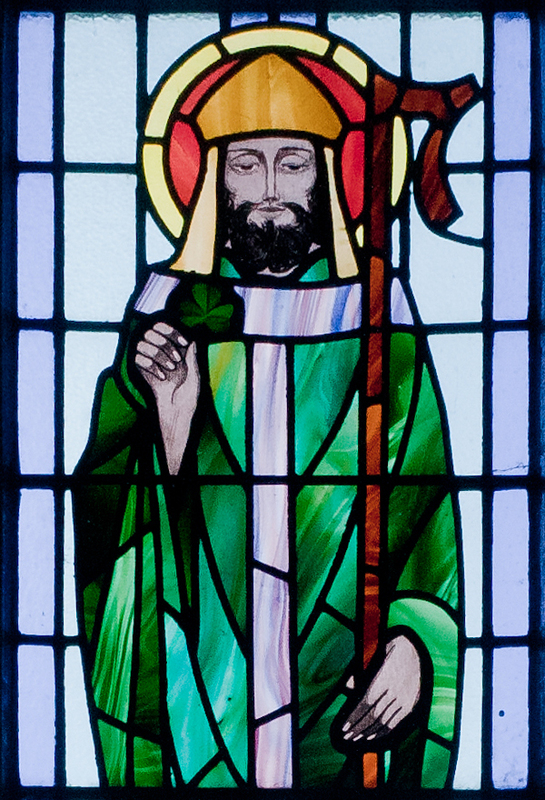 I did like all the non-Irish minorities who marched (rpesenting various parochial schools; St. Patrick is the patron saint of the NY archdiocese and t. Patrick represent the chief god in the various santeria/voodoo religions. Very NY). Michelangelo Signorile also interviewed The Mouth That Roars on the MS show yesterday. As usual it was quite a give and take, but not nasty. They both seem to like sparring with each other. I had an English teacher born and raised in Blarney. From the little he said, the St. Patrick’s Day Parade is already a kind of desecration of the saint’s feast day and Irish customs. My friend, Chris Brennan, who headed the Rochester Irish society for a while, used to refer to all the hoopla and events surrounding St. Patrick’s Day as “amateur night.” As for me, given all the parade nonsense in NY and Boston, I no longer drink Guinness – or Sam Adams. Enjoying fine local beers instead!